Positive Behaviour for Learning (PBL) is an evidence-based school-wide approach that supports student behaviour to improve social and academic outcomes for all students. The school and the community created the PBL Behaviour Expectation Matrix and now work together to uphold our expectations of being Safe and Respectful Learners. Students demonstrate these expectations through our agreed example behaviours that are displayed all around the school on posters and television screens. 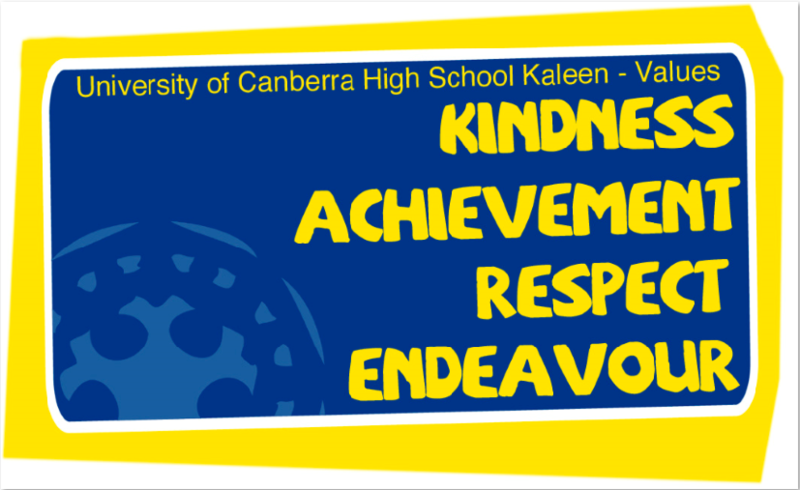 PBL identifies and acknowledges positive behaviour through KARE Cards (our school Values- Kindness, Achievement, Respect and Endeavour). 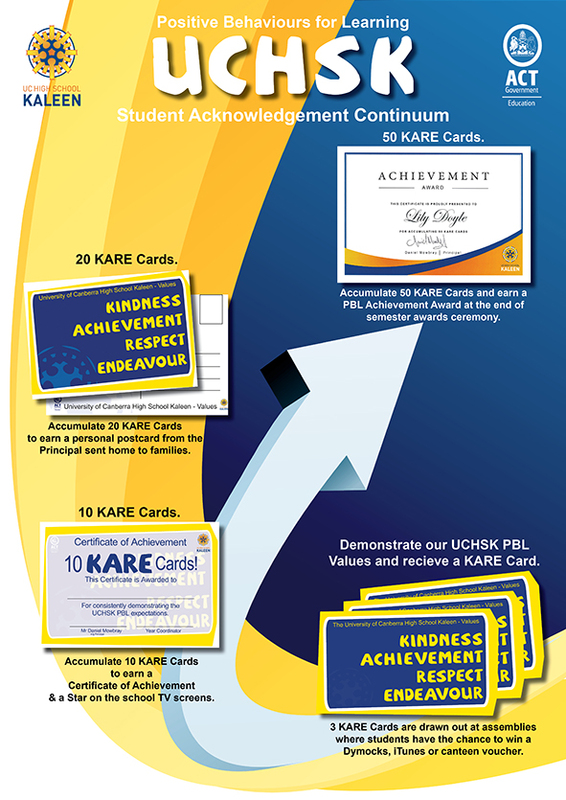 KARE Cards are an acknowledgement system designed to give positive feedback leading to improved self-concept and increased motivation to learn. Students enter their KARE Cards into a fortnightly draw for a chance to win a range of prizes. 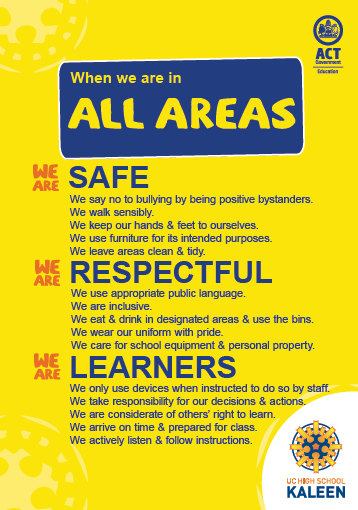 We explicitly teach the example behaviours for areas within the school in Pastoral Care lessons each fortnight. 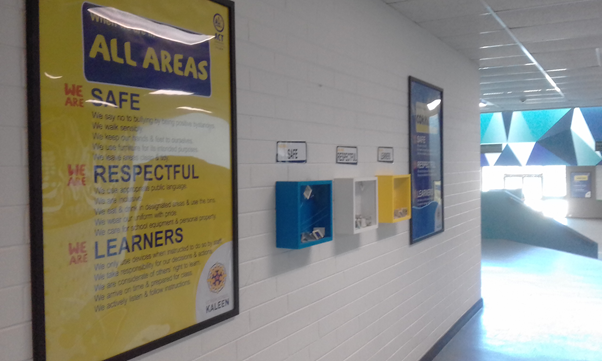 We use visual reminders, modelling, and positive reinforcement to strengthen and support these example behaviours for UCHS Kaleen. To provide a consistent approach across all classroom and non-classroom settings we use the Sequence of Student Behaviour to support students to make positive choices around their behaviour.